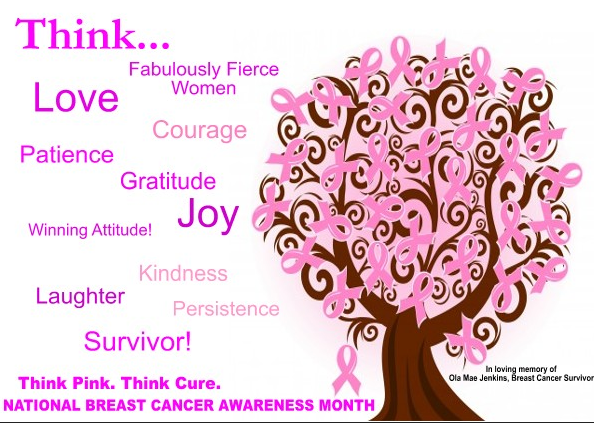 ARCHIVE: BREAST CANCER AWARENESS INFORMATION… | COFFEEBREAKWITHFRIENDS! Shop Zappos: Breast Cancer Awareness – Find Pink Items to Show Support for this Cause! Making sense of the ever-changing world of breast cancer can be overwhelming. The Understanding Breast Cancersection of our website is your one-stop resource for the latest information on breast cancer risk factors, early detection and screening, diagnosis and treatment. You also can find the latest information regarding integrative and complementary therapies, follow-up, support, quality of care and much more. The Understanding Breast Cancer Guide at the top left provides a complete list of all the topics found in Understanding Breast Cancer. Choosing a section (such as Treatment) below the Guide at the left will take you to a menu of the topics covered only in that section. The Understanding Breast Cancer section was co-developed with Harvard Medical School faculty and Dana-Farber/Brigham and Women’s Cancer Center staff. treatment and early detection, millions of women are surviving breast cancer today. We have the latest information on everything from understanding your diagnosis to treatment options to improving your quality of life after treatment. You can also check out our Breast Cancer 101 interactive tool or our interactive treatment navigational tool for newly diagnosed patients. So whether you’ve been recently diagnosed, have just finished treatment or have been a survivor for many years, you’ll get the answers you need to stay informed. It may be a friend, a family member or a co-worker who has been diagnosed with breast cancer. Regardless of who you know, you will likely want answers to your questions. We’ll help you learn everything you can about being a co-survivor, including basic information about breast cancer, how to find resources and how to offer the best support. Are you looking to help your loved one find information on breast cancer? Or, do you now have questions or concerns about your own risk of breast cancer? A woman’s breasts go through many changes during her lifetime. It’s important to know which changes are normal and which are not. Understand the risk factors, get diagnosis and treatment information and much more. Is someone you know battling breast cancer or stepping back into “normal life” after treatment? Sometimes it’s hard to know what to say or do. Our fact sheets and information about breast cancer and its emotional impact can help you meet the needs of your loved one. As a co-survivor, you provide much needed support for your loved one. But, you need support too. Learn how to cope and connect with other co-survivors. You may be a runner. A volunteer. Or an activist. But however you choose to get involved, just know that everything you do makes a difference. After all, without the support of people like you, we know 10 million people could die of breast cancer in the next 25 years. Susan G. Komen for the Cure® strives to raise funds and educate people in the battle against breast cancer through global events and legislative actions each year. Breast cancer is still killing and impacting far too many of our loved ones. So, how will you get involved? The National Breast Cancer Awareness Month (NBCAM) is a collaboration of national public service organizations, professional medical associations, and government agencies working together to promote breast cancer awareness, share information on the disease, and provide greater access to services. Since its inception more than 25 years ago, NBCAM has been at the forefront of promoting awareness of breast cancer issues and has evolved along with the national dialogue on breast cancer. NBCAM recognizes that, although many great strides have been made in breast cancer awareness and treatment, there remains much to be accomplished. Today, we remain dedicated to educating and empowering women to take charge of their own breast health. 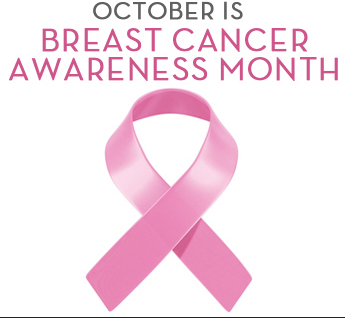 Although October is designated as National Breast Cancer Awareness Month, NBCAM is dedicated to raising awareness and educating individuals about breast cancer throughout the year. We encourage you to regularly visit these sites to learn more about breast cancer, breast health, and the latest research developments. Click on any of the websites below for more information. Consider visiting these sites to learn more about breast cancer, breast health, the latest research developments, awareness events, and patient resources. Read the organization’s descriptions and click on any of the websites below for more information. Bullying is a serious issue. 160,000 students are staying home everyday because they are afraid of being bullied. was indicted by a grand jury on April 20 on 15 charges including bias and invasion of privacy. Empower yourself and your friends to be part of the solution to bullying. who are speaking out against being MEAN. victims of bullying don’t feel good enough in our I AM ENOUGH Video Contest. 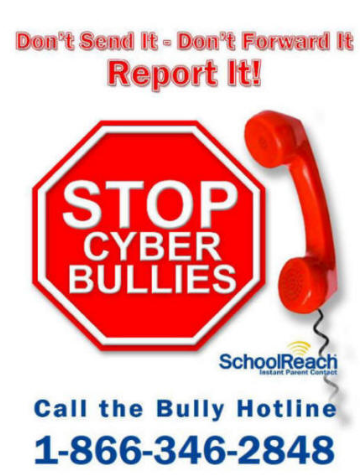 And, if you are being cyberbullied click here now! Bullying is a form of abuse. It is repeated acts over time that involves a real or perceived imbalance of power with the more powerful individual or group abusing those who are less powerful. The power imbalance may be social power and/or physical power. 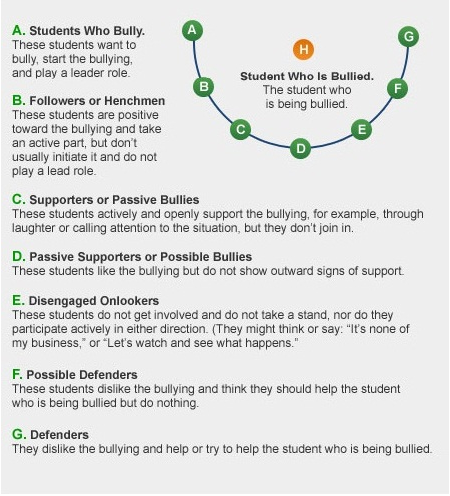 The victim of bullying is often referred to as a target. 1. Physical Bullying involves physical contact that would hurt or injure another person or their property. Examples include: hitting, kicking, pinching, pushing, punching, scratching, spitting or any other form of physical attack. 2. Verbal Bullying is the most common form of bullying. Examples include: name calling, insulting, teasing, making racist, sexist or homophobic jokes, using sexually suggestive or abusive language, offensive remarks. 4. Cyber Bullying is any type of bullying that is carried out by an electronic medium. Examples include: text messages, picture/video clip, phone calls, E-mail, chat rooms or instant messaging, social networking sites. Bullying affects more than just one student. 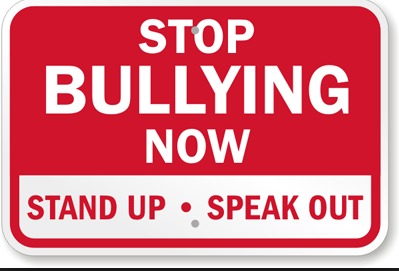 Nearly one in five students in an average classroom is experiencing bullying in some way. The rest of the students, called bystanders, are also affected by the bullying. October is National Bullying Prevention Month, an annual event created to unite communities and educate the public on how to protect children from the effects of bullying. It’s a good opportunity to talk with your children and find out more about their school and online experiences with cyberbullying. Consider these tips to as a way to start the conversation and stay safer online. Encourage your children to tell an adult if they see cyberbullying happen. Let them know they will not be punished if they are the victim and reassure them that being bullied is not their fault. If your child is harassed, keep all cyberbullying messages as proof. Depending on the severity of the message, parents may want to involve the school or the police. While going directly to the bully’s parents might provide relief, it is not always practical or possible. In this case, letting the school, the cell phone carrier or internet service provider intervene may be an effective first step. If necessary, block the person who is sending harassing messages. You may also need to get a new phone number or email address and be cautious about who receives the new contact information. Bullying is one of several unexpected legal issues that can happen with your children as they grow up. For a closer look at some of the possible, but unplanned situations you could face, download a free copy of ARAG’s guidebook, Legal Issues as Your Children Grow Up. To further safeguard against legal issues, check with your employer about enrolling in legal insurance coverage where you work. Comprehensive legal plans, such as those offered by ARAG, provide plan members with a wide range of services ranging from attorney consultation on drafting letters to the school, or preparing for presentation in an administrative hearing. The following resources provide information regarding bullying and bullying prevention for families and their communities. Healthy teeth and gums aren’t a luxury. That’s because our dental health has an impact on our overall health and neglecting one can negatively impact the other. That’s why the American Dental Association (ADA) is launching Action for Dental Health: Dentists Making a Difference, a nationwide campaign aimed at boldly addressing the dental health crisis facing America today. A new survey by Harris Interactive confirms there is a dental health crisis in America today, especially for lower-income adults. An analysis by the ADA’s Health Policy Resources Center (HPRC) shows the Affordable Care Act (ACA) will offer little relief for adult Americans who lack dental coverage. Read the full analysis. The causes of the dental health crisis are varied and complex. But we know that for each of us – and for the nation as a whole – it’s never too late to get on top of our dental health. Action for Dental Health aims to prevent dental disease before it starts and reduce the proportion of adults and children with untreated dental disease. Our goal is to help all Americans attain their best oral health. Read more about the goals for Action for Dental Health. Provide care now to people who are suffering, including the uninsured who are more likely to visit an emergency room for relief from dental pain, the elderly in nursing homes, and children from low-income families. Strengthen the dental safety net with more private practice dentists working with health centers and participating in Medicaid. Prevention and education through community water fluoridation, Community Dental Health Coordinators, and stronger collaboration between dentistry and medicine. The American Dental Hygienists’ Association (ADHA) and the Wm. Wrigley Jr. Company proudly announce their fourth annual collaboration for October’s National Dental Hygiene Month (NDHM). National Dental Hygiene Month, with the theme “Brush. Floss. Rinse. Chew.”, showcases the commitment of ADHA and Wrigley, the makers of Orbit® sugar-free gum, to improving the nation’s oral health. This year’s National Dental Hygiene Month will feature a national radio media tour highlighting the importance of proper dental hygiene with ADHA President Denise Bowers, RDH, PhD. In addition, the Wm. Wrigley Jr. Company Foundation, in partnership with the ADHA Institute for Oral Health (IOH), is offering community service grants of $2,500 and $5,000 to applicants pursuing projects intended to improve their community’s oral health. The application deadline is November 1, 2013. More information can be found on the ADHAIOH website. The 2013 NDHM is the capstone of ADHA’s yearlong centennial celebration of the founding of dental hygiene in 1913. For state and local dental hygienists’ associations, public relations materials are on the ADHA.org Resources page. 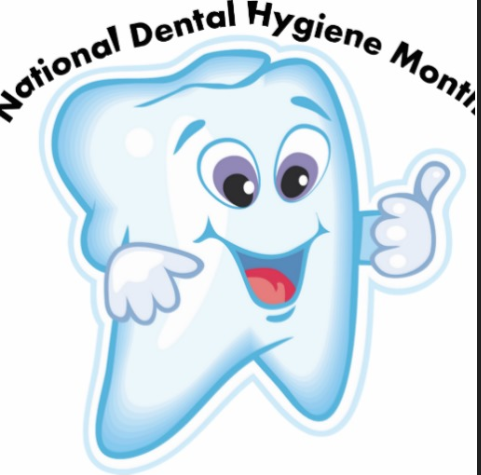 These can be used to promote any state or local dental hygienists’ association NDHM event. Patients can review the following “Brush. Floss. Rinse. Chew.” guidelines and apply them to their daily oral health regimen. Those needing more information about oral health can go to the Patient Resources category in the ADHA.org Resources section. Daily flossing (or other methods of interdental cleaning) removes plaque and food particles that cannot be reached by a toothbrush, particularly under the gumline and between teeth. Plaque that builds up in these areas can lead to tooth decay and gum disease. Getting into the routine of daily flossing can be a challenge. Making flossing easier can improve compliance with recommendations for daily flossing. If you resist flossing, try to determine why and tell your dental hygienist. Knowing the precise reason you are not flossing will enable them to recommend floss with the right thickness, coating or filaments so you might be encouraged to floss more often. Text 2 Floss – A partnership between ADHA and the Arizona School of Dentistry and Oral Health. Text2Floss is a one-week interactive educational tool meant to help people develop positive oral hygiene habits through the use of mobile technology.